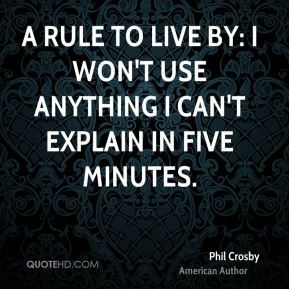 A rule to live by: I won't use anything I can't explain in five minutes. 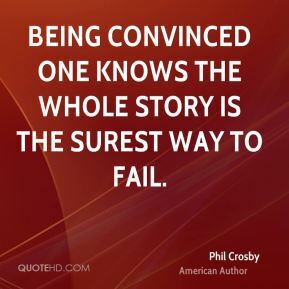 Being convinced one knows the whole story is the surest way to fail. 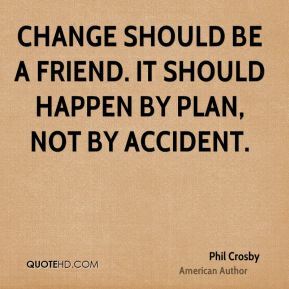 Change should be a friend. 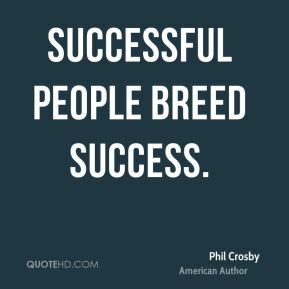 It should happen by plan, not by accident. 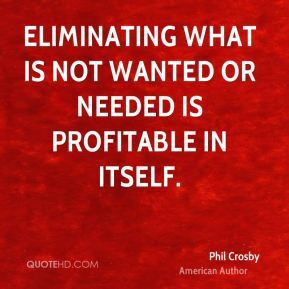 Eliminating what is not wanted or needed is profitable in itself. If anything is certain, it is that change is certain. 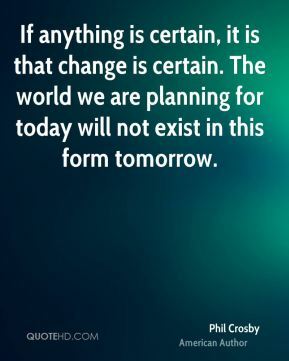 The world we are planning for today will not exist in this form tomorrow. 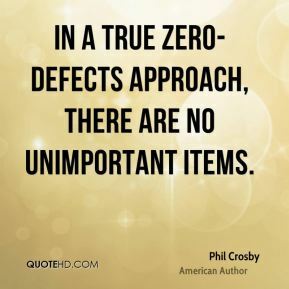 In a true zero-defects approach, there are no unimportant items. Making a wrong decision is understandable. 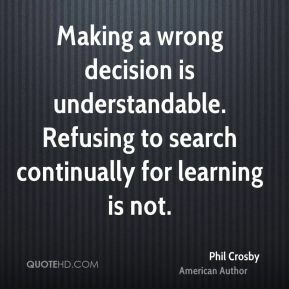 Refusing to search continually for learning is not. 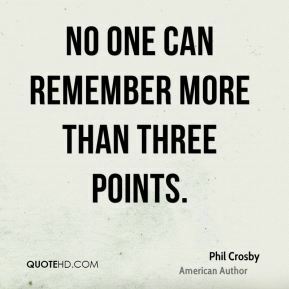 No one can remember more than three points. 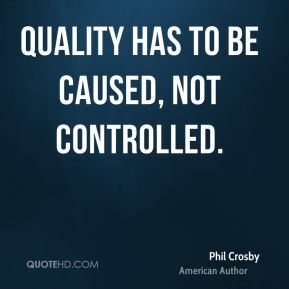 Quality has to be caused, not controlled. 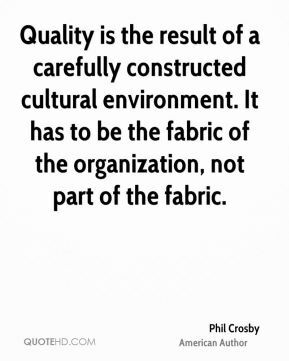 Quality is the result of a carefully constructed cultural environment. It has to be the fabric of the organization, not part of the fabric. 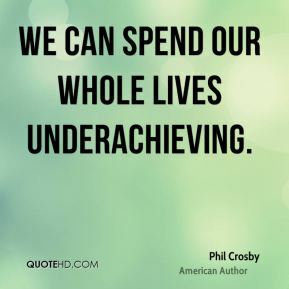 We can spend our whole lives underachieving. 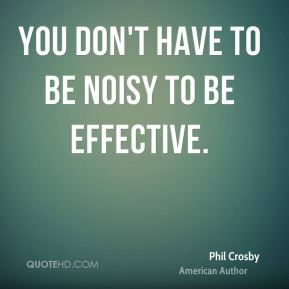 You don't have to be noisy to be effective.